when you compare it to other ski hills in the region. This ski hill has a decent set of slopes and enough good ski lifts to serve them all. Thredbo's drop of 2,219 feet is plenty for a great top to bottom run. The delightful view of the Australia, New South Wales hills and the truly pleasant ski slopes are pleasant attractions for scores of ski folks. As you're on this page you are almost certainly into skiing or snowboarding, either way, this vicinity has many ski mountains. 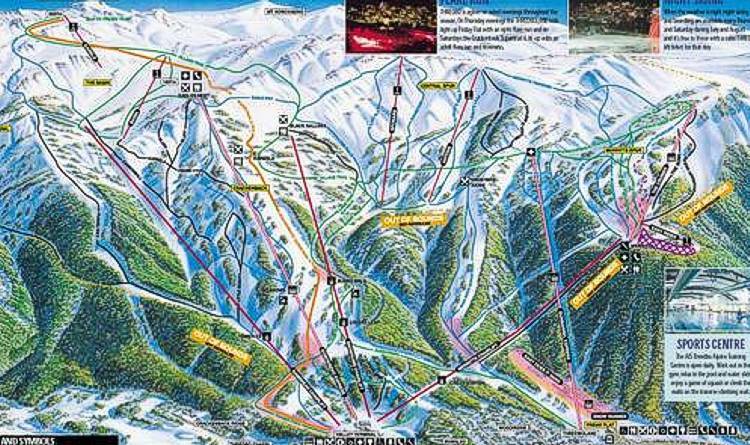 There's a ski run map of Thredbo on this net page for your reference.